But, since I am partial to pink...you are likely to find the much softer version of red, instead. So, if you're seeing red, like red, or just want to check out what others are sharing today.... just click here for Red Wednesday at Etsy Cottage Style and wait, come back because I am also linking with Ivy and Elephants for "What's It Wednesday!" If you are dealing with the FRIGID temps, I hope these "red" posts help to warm you up! 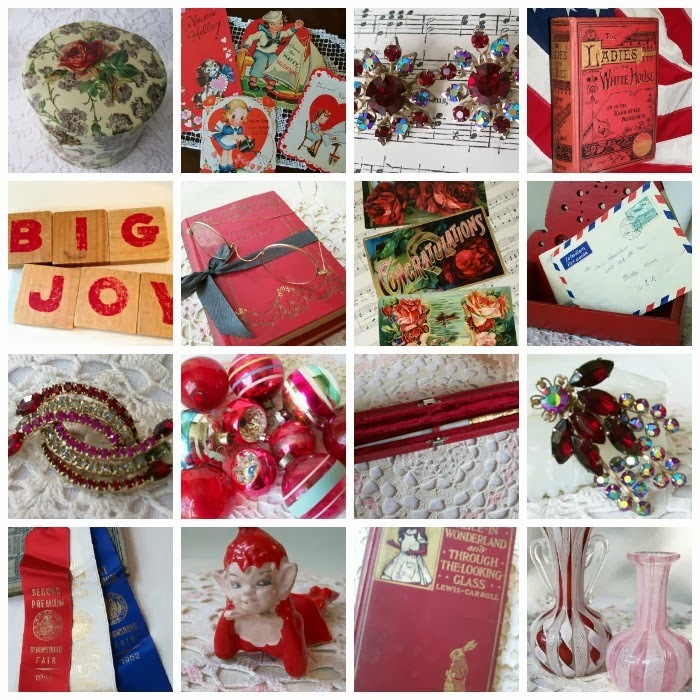 Your vintage red treasures are perfect for Red Wednesday! Love your new piece in the last post as well! Great find! I am a lover of red so these are delightful! I do have pinks that I love for Valentines and Spring. Also have a touch of pink in my living room.